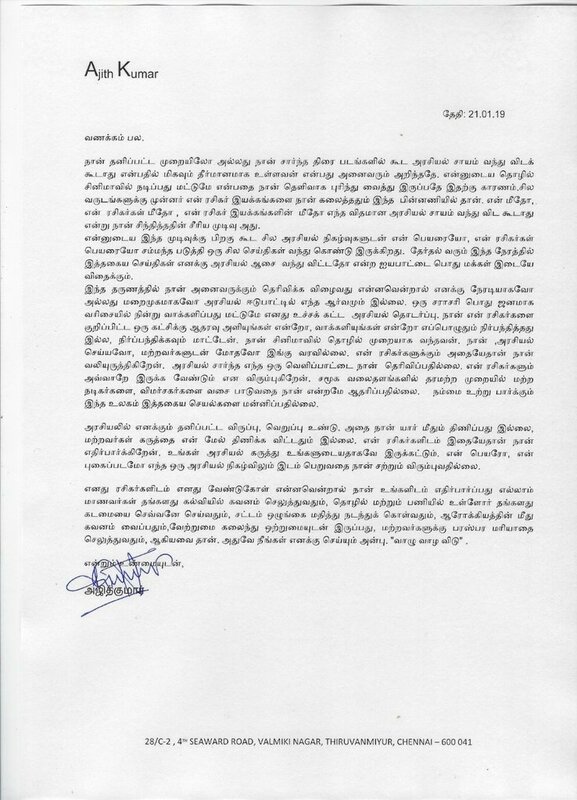 Anantha Vikatan Posted A Tweet About Ajith Kumar’s Press Release & Deleted It Immediately !! Still Fans Thrashing !! Leading Tamil film actor Ajith Kumar on Monday categorically stated that he will not enter politics either “directly or indirectly” and appealed to his fans not to associate him with politics in any manner. 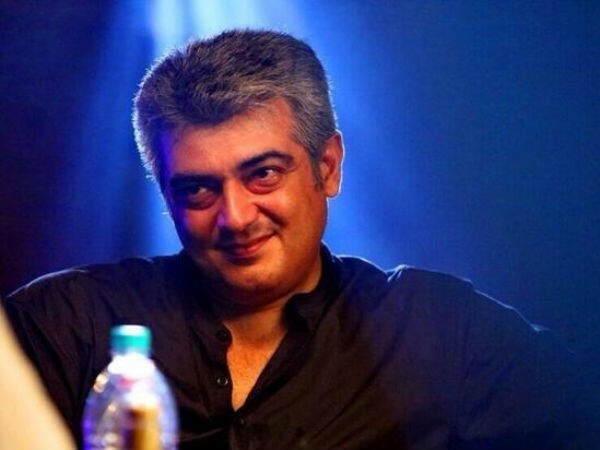 In a statement issued in Chennai, Ajith Kumar said that he has no interest in entering politics whatsoever. The statement comes against the backdrop of claims that some of his fans had joined the BJP on Sunday. “My participation in politics is restricted to standing in line during elections to vote. I will never ask my fans to support a particular political party or urge them to vote for a particular political party. I will not do so in future as well,” he said. His statement released after Tamilisai said that many Ajith fans joined BJP. She also said with the contribution of Ajith fans Lotsu will bloom in Tamilnadu. She confidently expressed that Ajith fans will take the welfare plans and policies of Indian Prime Minister Narendra Modi to the people. எதுக்குங்க வேணும்னே அவரை கீழ இழுக்க பாக்குறீங்க ? நாம் எல்லோரும் ஏதோ ஒரு வகை அரசியல் செய்யறோம்கிற எதார்தத்தை தான் சொல்லி இருக்காரே தவிர , நான் கட்சி ஆரம்பிக்க போறேன் , என் ரசிகர்கள் சேரணும்னு சொல்லல. Article About #ThalaAjith‘s Interview by @vikatan in Oct 2017. He Clearly Explains that politics were Flooded Everywhere, without politics We can’t Survive in this cine Industry. But Now he actually Changes According to Time & Uses People’s for his own public attention. As a reaction to this massive uproar Vikatan immediately deleted the tweet. and posted about it. We are deleting the above tweet, as it has been misquoted. உண்மைய உணர்ந்து delete பண்ணுனதுக்கு நன்றி விகடன். இனி இந்த மாதிரி மிஸ்டேக் எந்த மனிதருக்கும் பண்ணாதீங்க. What do you think on this ? Comment below !! Previous articleCheck Out The New Short Film Directed By Jason Sanjay, Son Of “Thalapathy” Vijay !! Next articleCHENNAI SHOCKER : 4 Murders In 24 Hours Including One Infront Of DG Viashnava , Horrific ! !